Remedial classes conducted on Saturdays to help weak children catch up. They get more attention and teachers use local language to help them understand the concepts better, so that no child is left behind. As a parent, what do we expect from a school? We expect that our child learns various things and learns them well. Various things include core subjects, art, craft, sports, languages etc. In the busy schedule that everyone has these days, how can parents keep a tab on the progress of their child? How can they know what their child is supposed to do at home, if at all? It becomes very unfair for the parents to know the progress of their child at the end of every unit, after the unit test. There is precious little that can be done in remedial action after two to three months have gone by and that portion is not touched later on. Then, what would be ideal? Parents should know what their child’s progress on a regular basis. Even better, some form of summary report on what was done in the week so that some revision can be done at home, over the weekend. Not only that, it would also be highly beneficial for the parents to interact with the teachers of the school from time to time, to know their child’s status – behaviourally and academically. 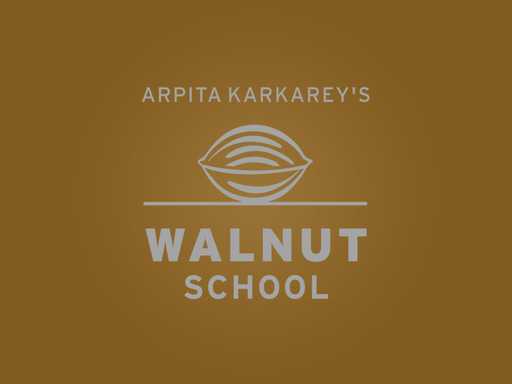 At Walnut School, Mrs. Arpita Karkarey has considered all of this and more when planning the academics and the school schedule. As our team has claimed from time to time, we really believe in open communication with our parents. They are the only real feedback system any school has. Every day, children carry home the work that they do in school in the form of worksheets. These worksheets have printed information on them as well as empty spaces for answers to be written by children (the worksheet is the basic block of the academic system at Walnut, upon which all the academic planning is based on). Teachers check the worksheets and send them with children in their worksheet folders (no school bag!). The parents have been given subject-wise files to be kept at home, where the worksheets are to be neatly filed (thus “building a textbook and notebook” at home!). Since our teachers have all the teaching and learning material handy with them, it becomes easy for them to plan out their teaching schedule. This level of detailed planning, opens up another facet of communication with parents – weekly academic status mails! Every week, we send emails to every parent, about what their child has learnt based on the report received from the teachers. Not only does this help the parents to know the status of academics, but it also helps our huge academic research team working under the guidance of Mrs. Arpita Karkarey, to keep tab on whether academics is moving according to the expected schedule. Remedial action can be taken under special circumstances, which not only helps the students, but also helps in reaching our target of expected learning outcomes for every child for that year. In addition to this, we have specific Saturdays marked on our school calendar, where the parents get time slots to come and meet all the teachers who teach their children. Problems, if they exist, can be nipped in the bud because of these meetings (these meetings also have an additional advantage – children know their parents are in touch with their teachers, and hence are always on alert :)). Over the years, this has a great social benefit – all parents know all the teachers – and vice-versa. This builds tremendous confidence in both and improves the teaching and learning process manifold. Its a virtuous cycle that benefits all. So, here are a few photographs from the first open Saturday of the year at Arpita Karkarey’s Walnut School, Shivane.